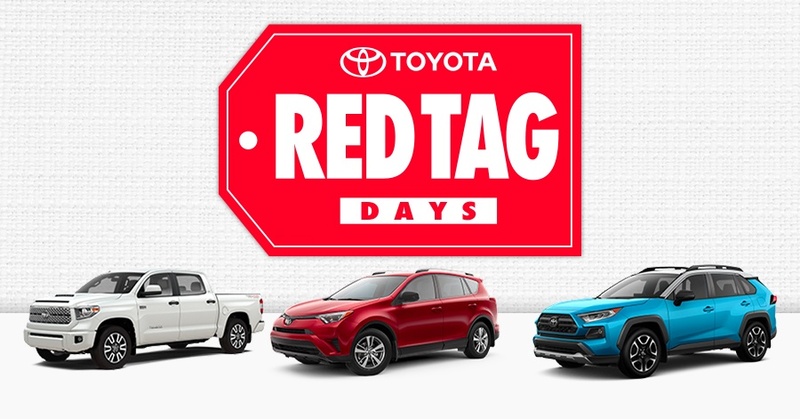 Red Tag Days are back at Mayfield Toyota and that means the best time to buy a new Toyota in Edmonton is here! Why do we love Red Tag Days so much? Toyota lets us offer the best pricing of the year on our TOP-SELLING vehicles including the Corolla, RAV4, Highlander and more. Plus with 0% financing and lease terms, aggressive cash incentives and our current $1,000 trade-in bonus, this is the best time this year to get into a new vehicle! Shopping for a RAV4? Need a new seven-passenger hauler for the family? Need a ride that is adventure-ready before summer starts? Red Tag Days give you the best pricing on ALL our inventory, no matter what you’re looking for! Lease or finance the 2018 RAV4 from 0% or finance the 2019 RAV AWD Trail edition from 3.99%. Lease or finance the 2019 Corolla from 0% plus add an additional $500 cash incentive! 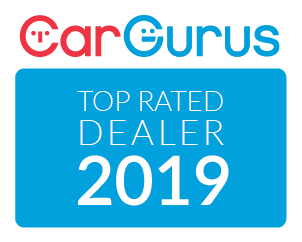 Have a current vehicle you need to sell or trade-in? Right now Mayfield Toyota is offering all our customers an extra $1,000 on top of the Trade-In Value of your vehicle. That’s cold hard cash in your pocket! Red Tag Days happens once a year… don’t miss out! Visit us on the corner of Stony Plain Road and 170th street. Book a test drive or shop our inventory today!